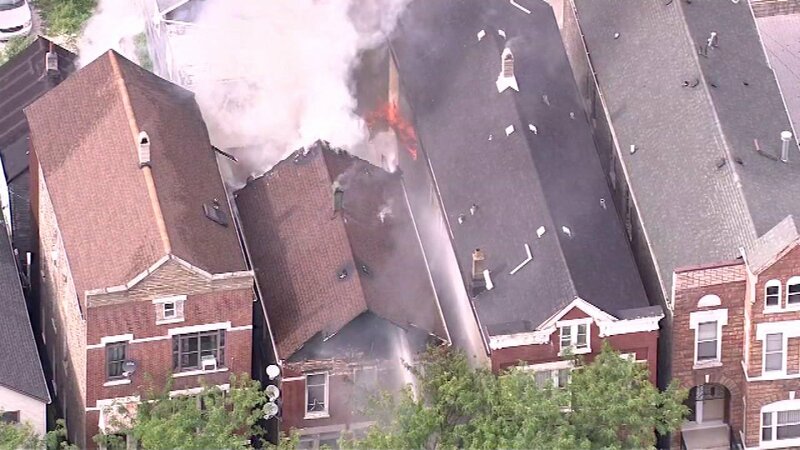 CHICAGO (WLS) -- A fire at a building in Pilsen that spread to a second neighboring building has been struck, the Chicago Fire Department says. The Red Cross says four families were displaced. One resident, a woman who lived in the building with her husband and three children, said she and her family were out eating when they got a call from a friend saying their house was on fire. She says they have lost everything they own, and all they know is the fire started in the attic. The fire began not long after 4 p.m. in the 2000-block of West 21st Place. There are also reports that a firefighter was injured, but Chicago fire officials have not confirmed any injuries.